Kim Hyon-hui was a North Korean agent arrested for the downing of a jetliner 30 years ago that killed 115. Pardoned for her crimes, she now lives a quiet life in South Korea. Kim Hyon-hui said that her role in the bombing of Korean Flight is something that leaves her ashamed. Daegu, South Korea: Until recently, she could often go full days without reminders of what happened. She preferred it that way. The event was so long ago. It was so terrible. She'd been pardoned for her crimes, and she'd tried to build a new version of her life. She got married. She raised two children. She attended church. She went on hikes - relaxing ones, short ones, nothing like the mandatory 60-mile treks she'd taken when training as a spy. But now, the reminders of what Kim Hyon-hui once did again seem to be everywhere. South Korea is hosting the Winter Olympics this month, and even seeing the Olympic rings gives her flashbacks to 30 years ago, the other time this country was preparing to host the Games. Then, Kim was an elite North Korean agent. She was acting on national orders. She boarded a South Korean passenger plane, carrying a bomb on a timer. She left the bomb in an overhead bin. She exited the plane during a layover. The plane blew up. "In North Korea, I lived as Kim Il Sung's robot," Kim said in an interview. "In South Korea, I got to live a new life." Though Kim has tried to establish a mostly quiet existence, the issues that prompted her initial mission still resonate, with the Olympics, which begin Friday, again testing how the North will respond to a global celebration on the soil of its rival. In 1988, North Korea pushed to co-host the Summer Games, failed to strike a deal, and instead launched a campaign of violence aimed at making the event untenable. This time, the North and South agreed to march together in the Opening Ceremonies, sharing a flag and fielding a joint women's ice hockey team, a show of unity that belies years of tensions. 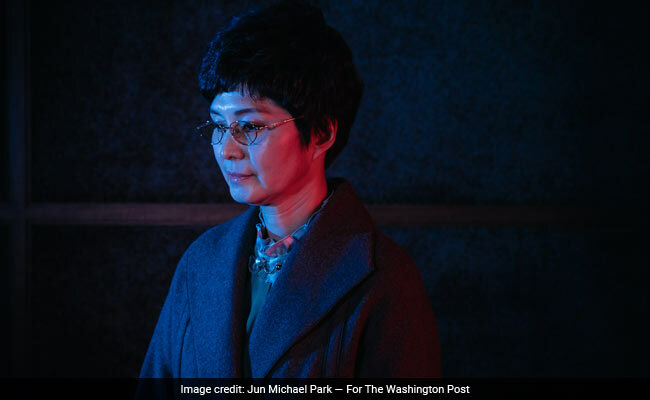 But recently, she was watching television and saw another reminder of her past: footage of her arrival in South Korea, in December 1987, when she descended the steps of a plane, under arrest, surrounded by men in suits. At that moment, she wasn't yet cooperating with investigators. At that moment, she hadn't yet admitted she was a North Korean. At that moment, she had already once tried to kill herself rather than talk, and she was wearing a device on her mouth to prevent her from biting off her tongue. The first part of her life was ending, and Kim remembers never considering there would be a second part. Kim's life as a spy - and what ultimately became her mission to disrupt the Olympics - began during her second year of studying at the Pyongyang Foreign Language College, when she was called to the dean's office, and met there by a man from the Central Party. What followed was several rounds of interviews, and finally, a handshake from a special agent. "You have been chosen by the Party," he said, according to an account from a book Kim wrote, published in 1991. The agent told Kim to pack her belongings, say goodbye to her family, and be ready to leave the next day. "By destroying this plane," Kim in her book quoted an intelligence director saying, "we intend to increase this sense of chaos and ultimately prevent the Olympic Games from taking place in Seoul." The orders for her mission, she said, were handwritten by Kim Jong Il, Kim Il Sung's son and heir apparent. In the weeks leading up to the bombing, according to Kim's account and South Korea's investigation, Kim and the other agent traveled across Europe, posing as Japanese tourists. Then, in Belgrade, they connected with two other agents, who handed off the weapon of choice: a bomb disguised as a portable Panasonic radio, amplified by liquid explosives in a liquor bottle. Kim and her fellow agent flew to Baghdad with the weapon. In Baghdad, Kim activated the timer and boarded a Korean Air flight to Abu Dhabi. She placed the bomb in a shopping bag and stowed it above her seat. She and the other agent exited the plane in Abu Dhabi. Several hours later, the plane blew up over the Andaman Sea. Many of the passengers were South Koreans with energy jobs in the Middle East, going home to see their families. Kim, initially, didn't know if the plot had worked. She didn't know about the news alert that went off in South Korea, or about the 300 people who rushed to the airport in Seoul, weeping and frantic. But what Kim did know is that she had to quickly return to Pyongyang, taking a convoluted series of flights, and it was in Bahrain where authorities stopped them, having noticed their suspicious travel patterns. "Can I see your passports?" one of the authorities said, and soon Kim and the other agent realized they'd been cornered. The two spies bit down on their cigarettes. The older agent died. But Kim did not. When she awoke, her left hand was cuffed to a hospital bed, an oxygen tube in her nose. Men in combat fatigues stood around her, machine guns cocked. Partly, she said, she has no choice. North Korea has a history of targeting high-level defectors and captured agents. Kim lives under police protection, and keeps most details of her life private. What she does say is that she is an "ordinary citizen" raising two teenagers, ages 16 and 18. In the mornings, she cooks for them. In the evenings, she reads. To relax, she heads to the mountains. Her husband, whom she married in 1997, was one of the first people she met in South Korea - one of agents handling her case. She says she remains traumatized by her role in the bombing, but sometimes feels obliged to talk about it. She is a witness, she said, to the "truth of North Korea." That's why Kim has mixed feelings about how the two Koreas are cooperating ahead of this year's Olympics - news she has been following closely. With its own athletes participating, North Korea could be less inclined to cause chaos or violence. But Kim also thinks that the cooperation plays into North Korea's hands, giving the country a celebratory spotlight despite how it treats its own people. North and South Korea are marching together, holding a white and blue unity flag, but Kim said the two countries aren't on equal ground. Dasl Yoon and Ian Shapira contributed to this report.